If you like Yahoo! Mail, though, you can make Windows Live Mail share your preference. You can even choose from two flavors of Yahoo! Mail in Windows Live Mail: the free and easy YPOPs!, which lets you download incoming mail for offline access, and the sophisticated IzyMail service, which offers you full IMAP access to all your Yahoo! Mail folders. Install YPOPs! and make sure it is running. Select Tools | Accounts from the menu in Windows Live Mail. Type your Yahoo! Mail address under E-mail address. Enter your Yahoo! Mail password under Password. Make sure, Manually configure server settings for e-mail account is checked. Make sure POP3 is selected under My incoming mail server is a ___ server. Enter "localhost" (no quotation marks) under Incoming serve. If "localhost" turns out not to work, try "127.0.0.1" instead. Check your Yahoo! Mail user name (your Yahoo! Mail address minus "@yahoo.com") is entered under Login ID. Type "localhost" under Outgoing server. Make sure your Yahoo! Mail account is registered with IzyMail. Enter "in.izymail.com" (no quotation marks) under Incoming server. Type your full Yahoo! Mail email address (including "@yahoo.com") is entered under Login ID. Type "out.izymail.com" under Outgoing server. Make sure My outgoing server requires authentication is checked. Highlight the newly added "Yahoo" account. Type "Sent" under Sent Items path. Enter "Draft" under Drafts path. Micro Center Priority Care Program provides exclusive Technical Support not available to regular Micro Center customers. Whether you have a simple question about first time setup, receive an error message, or have more complicated needs like system lockups, Micro Center Tech Support offers a superior level of service to get your computer up and running faster. Priority Care not only covers basic technical support needs, but also includes additional tools and features that you won’t find anywhere else. Our in-house Technical Support team consists of certified technology professionals that are trained to assist you on a variety of support issues. We have a full range of support services such as Live Chat, Email, Remote Access, Tech Forum, Phone Support, In-store Support and our Tech Center website. No matter what time of day, our online support information is available for you to use. In addition, you will have special access to our Priority Care Members only site for even more helpful online resources. Priority status when you call Technical Support with an issue. Priority status when contacting Technical Support via our Online Chat service. Free Diagnostic Tools CD with the purchase of each Priority Care Plan. Comprehensive Technical Support at a reduced cost. Special access to online resources not available to regular customers. To learn more about the Priority Care program, ask a sales associate at your local Micro Center store. Windows provides a fairly easy interface to make quick launch icons to access commonly used programs. There are a couple of ways to initiate a program from your desktop: using shortcuts or the Taskbar. Go to New » Shortcut. Locate the Program using the Browse option. This article will show you how to fix your Tenda W311R Router if it cannot get online. Ensure that all the cables are plugged in to the correct ports. Remember that the cable from your Modem plugs in to the WAN port on the back of the Tenda router. If you are using a wireless connection, try with a computer that is plugged directly in to the Tenda router. Using a computer that is plugged directly in to the Tenda router, open up an Internet window and locate the address bar and erase everything from the field. In the same location, type in “192.168.0.1” without quotes and press enter. When prompted for a username and password enter “admin” for both (without quotes) and click OK. 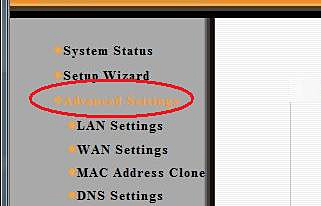 The Setup Wizard screen will appear. Click the Auto Detect button and wait as it automatically detects your network type. Once it has chosen your network type, click Next and the router will reboot. 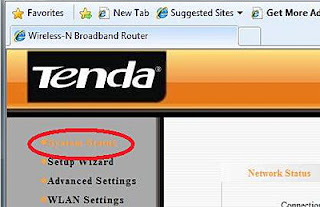 Once the router has rebooted, the Tenda router screen will reappear. If it does not, to through steps 3-5 to reconnect. Click System Status in the top left. 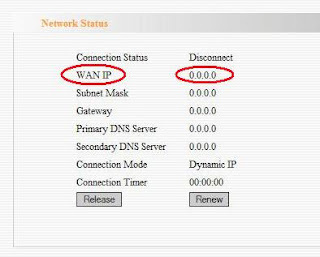 Check the WAN IP Field to see if there is an IP address other than 0.0.0.0. If so, try typing a web address in to the address bar to see if you can connect. If you still cannot connect or if you have no IP address, proceed to the next step. 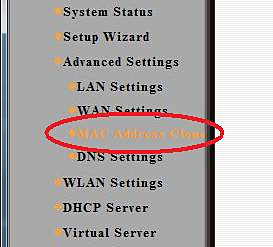 Click on Clone MAC Address and then click on Apply. The router will then reboot. 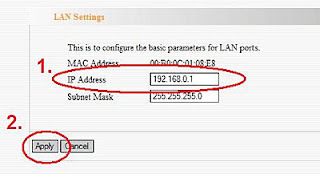 In the IP Address field, change the IP address from 192.168.0.1 to 192.168.2.1 and click Apply. The router will then reboot. Once the router has rebooted, unplug the power to the Tenda Router and the Modem. Anti-aliasing or AA removes parts of the video signal that are at a higher frequency than the monitor is setup to show. It will take areas of the image that would cause artifacts to appear on the screen and slightly blurs them to create a smoother appearance. Antistropic Filtering or AF enhances the quality of textures on viewed surfaces that are at an oblique angle to the camera. When rendering detail at these angles, Antistropic Filtering reduces blur and preserves detail. These settings can have a substantial impact on what you see on the screen especially in PC Games. Open the nVidia control panel by right-clicking on the desktop and choosing nVidia Control Panel. Note: If this option is not available, visit www.nvidia.com and download the latest drivers for your graphics card. Ensure that the nVidia Control Panel display mode is on Advanced Settings. Once set to Advanced Settings, choose Manage 3D Settings on the left, under the 3D Settings category. On the Manage 3D Settings screen, change the Antistropic Filtering to the desired setting. Change the Anti-aliasing – Mode to Override Any Application Setting. Change the Anti-aliasing – Setting to the desired setting. Click the Apply button at the bottom to save the settings. Port forwarding can help in getting network-enabled applications, such as online games or chat services that would be otherwise inoperable, up and running. 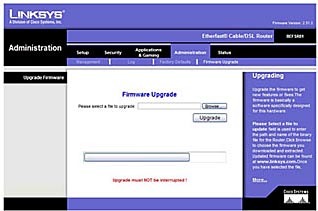 This document contains information specific to Linksys routers but the steps are largely the same. If you have questions that are not answered in this document, we recommend you look in the manual that came with your router. This article will show you how to set up port forwarding on your router. You will need to know the port number required by the application. To get this information, contact the application vendor or look at the documentation included with the program. You will need to know the IP Address of the computer to forward the port to. To find this, first power on the computer you will use and go to Start » All Programs » Accessories » Command Prompt. When it opens, type in "ipconfig" and use the IP Address or IPv4 Address. Click on the Start button and choose All Programs. Locate and open the Internet Explorer application from the All Programs menu. In the address bar located at the top of the screen, erase whatever address is in the bar and replace it with "192.168.1.1" without the quotes. Note that some routers use the address "192.168.0.1", so if it does not work right away, try the second option. Consult your router documentation. When prompted for a username and password, enter "admin" without the quotes for both the username and the password. Note that some routers differ in their default username and password, check the manual that came with your router for more information on the default username and password. Once logged in, choose the Applications & Gaming tab seen highlighted in the figure below. Note that some routers may have these settings on the Firewall or Port Forwarding tab. Enter the name of the application into the Application field. This is the program for which you want to forward the ports. Enter the Start and End port range for the program. This information should come from the program's documentation. Choose the protocol that should be used for the application; TCP, UDP, or Both. Most of the time Both is fine. Consult the application documentation for more details. Enter the IP Address for the PC that is running the application. You can find this information in the Network Settings for your PC. Place a check in the box to Enable the forwarding. This gives you the ability to set up several applications and turn them on and off without having to reenter the settings all over again. Click on Save Settings or Apply along the bottom. That's it! Your ports are now forwarded and you will be able to use the respective applications as normal. Intel has recently identified an issue with their 6 series chipsets, which are used with all their 2nd generation Core processors (code-named Sandy Bridge). This is a potentially serious issue, but it should not affect your data, just your system's performance. Intel believes that consumers can continue to use their systems with confidence, while working with their computer manufacturer for a permanent solution. Some users may see degradation in the performance of SATA devices attached to the system, whether internal or external (such as hard drives and DVD drives). Intel is not aware of any end-user who has seen this issue yet, but there is a possibility that this could affect a significant percentage of users eventually, and could possibly worsen over a three year period. Please be assured that Micro Center will stand behind every customer who purchased a system or a motherboard from us that features this chipset. Intel has already made the necessary change in the manufacturing process to correct the error, and properly functioning replacements will be available in approximately 8 to 12 weeks. To minimize the disruption to you, we suggest that you continue to use your system until replacement parts are available. Micro Center customers who purchased a "Sandy Bridge" system should be receiving correspondence from us soon outlining our plans with Intel to correct the faulty issue. Should you have questions in the meantime, please feel free to visit your local Micro Center store or contact our national support center to speak to one of our Knowledge Experts for more information. Please accept our apologies for any inconvenience caused by this issue, and our assurance that we will keep you informed of any further developments. This article will help you troubleshoot the Windows 7 error message "The settings saved on this computer for the network do not match the requirements of the network." It is typically a result of a wireless profile being created for the network incorrectly or connecting to a wireless network of the same name with different security settings. Click on the Wireless Icon in the bottom right corner of the screen. Click on the Open Network and Sharing Center option. Click on Manage Wireless Networks in the top left. Click on the name of the network you are trying to connect to and then click Remove just above the networks. When prompted for verification of removal, click Yes. Close out of the Manage Wireless Networks window and click on the wireless icon in the bottom right corner of the screen. Click on the wireless network you want to connect to and choose Connect. 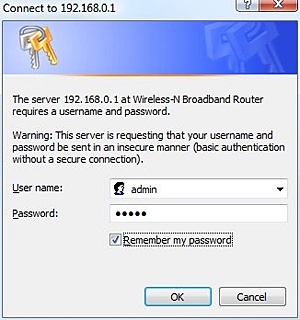 When prompted, enter the security key to connect to the wireless network and click OK. The wireless network should now connect correctly.